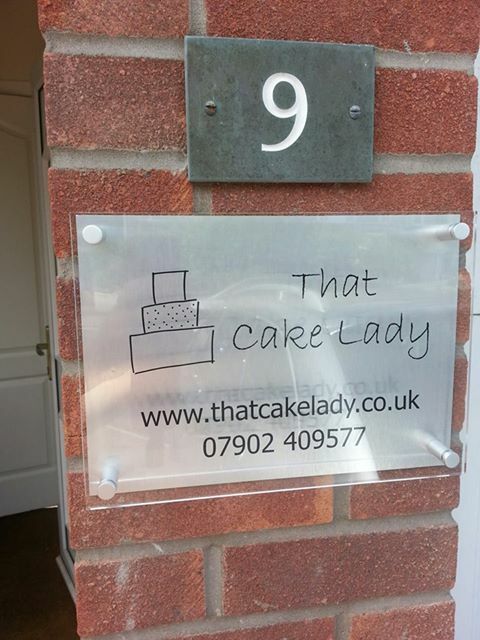 Wow, That Cake Lady turned 1 on June 24th! I was away at Center Parcs celebrating a friend's 40th, so I didn't even make a cake to mark the occasion! I really can't believe how lucky I have been, I've been able to create some amazing cake creations and I'm amazed at how busy I have been, and at how full my diary is right into 2014. Last week I took 7 orders, and I've taken another 7 this week already! Please, if you want to book a cake, get in touch sooner rather than later, a £10 desposit secures the date in my diary, even if you're not sure what you want yet. 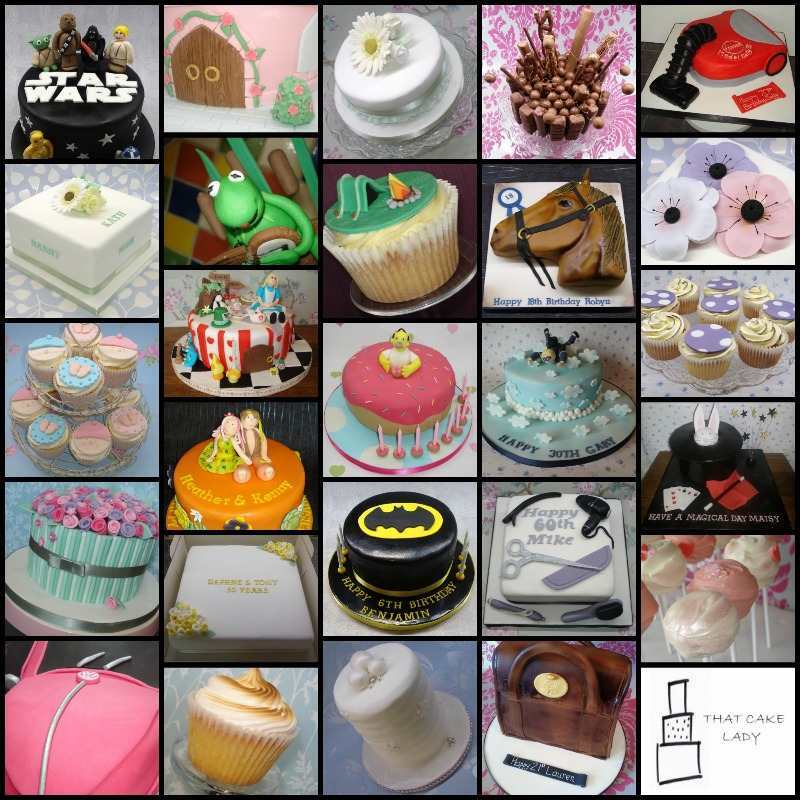 Here is a little montage I made of some of my favourite cakes from the last year. I bought a little present for myself to celebrate and I'm over the moon with it. Wait for it, it's a .......... sign! I got it from here and I highly recommend them. Hopefully it will help people find me more easily and I've had lots of compliments on it already! I had a pretty cake to decorate a week or so ago, but I didn't bake the cake, the customer provided it. I am happy to do decoration only if you have a secret family recipe that you want to use, but are unsure how to decorate it! It was quite nice actually, takes a bit of the stress out of it, maybe I should get all my customers to provide their own cakes! I did bake the cake that this cute topper sat on though! 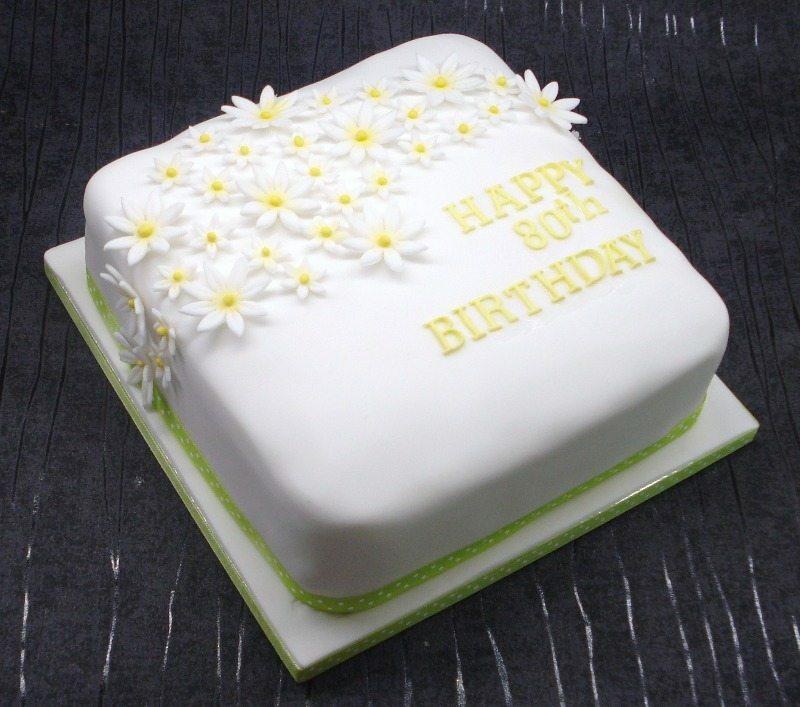 A delicious 9" vanilla sponge filled with jam and buttercream. 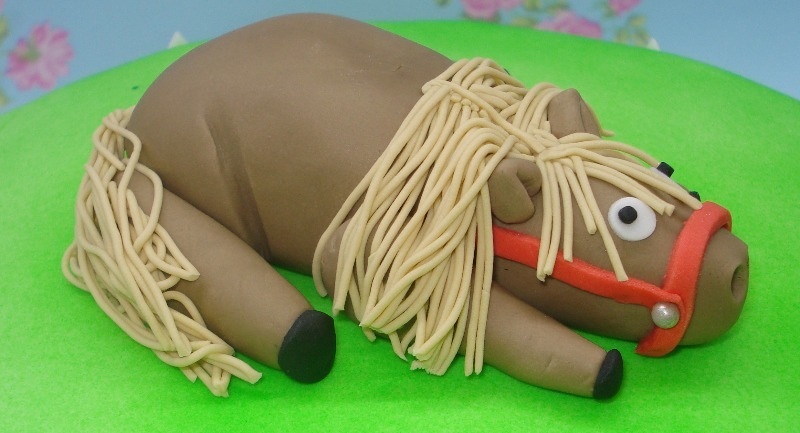 The birthday girl was having a party at Horse World, so a Thelwell inspired horse was just perfect! And so we are in July. I have a bumper month lined up, 4 orders this weekend, 3 the following, 6 (!) the weekend after that and 2 for the final weekend of the month. Plenty of prep already done, but still more to do.